Last week, Representative Richard Hudson (R-NC-8) introduced the Concealed Carry Reciprocity Act of 2017. Ironically, the bill number is H. R. 38. Now is that just a coincidence, or was that bill number planned? At any rate, the number should be easy to remember when you contact your representative. In a nutshell, if you live in a state that issues (concealed) handgun carry permits/licenses, and have a valid one, it would be valid in all states and Washington, D.C. If you live in a state that doesn't issue or require permits*, your driver's license would validate your legal ability to carry in all states plus the District. I am sorry to see it doesn't include Post Offices and property administered by the Tennessee Valley Authority (TVA)**. A person who is deprived of any right, privilege, or immunity secured by this section . . . may bring an action in any appropriate court . . . The court shall award a plaintiff prevailing in an action . . . damages . . . including a reasonable attorney’s fee. OK, some will argue that this should be the left to the states, and support their argument with the Tenth Amendment. I would counter with asserting that the Second Amendment is equally valid, and it is time for states such as New Jersey to cease jailing citizens from other states for the othewise exercising the otherwise benign natural right to carry a defensive weapon. 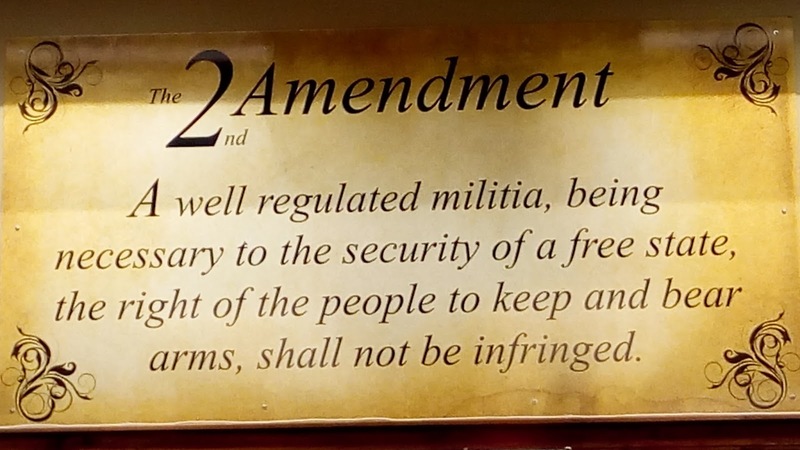 Why should states continue to negate that right guaranteed by Second Amendment? Get your Representative's and Senator's local and Washington numbers on speed dial. Be prepared to pepper them with calls and emails. *"does not prohibit the carrying of concealed firearms by residents of the State for lawful purposes." **. . . although President Trump could take care of this January 20.
continue their push for stiffer penalties against adult gun owners who leave loaded firearms within reach of young children. The reporter rightly uses (give him creds) the phrase "gun control advocates" in the first line of the story. He goes on to quote Beth Joslin Roth, of the "Safe Tennessee Project", who is, in this case, advocating so-called safe storage laws.